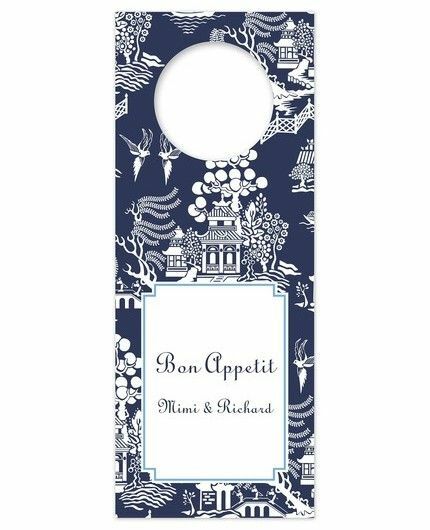 Add this wine tag to your favorite bottle for simple and chic gift wrapping. This flat wine tag features a blue and white Chinoiserie border. The top of the tag has a die-cut hole to easily slide the tag on the neck of any wine bottle.